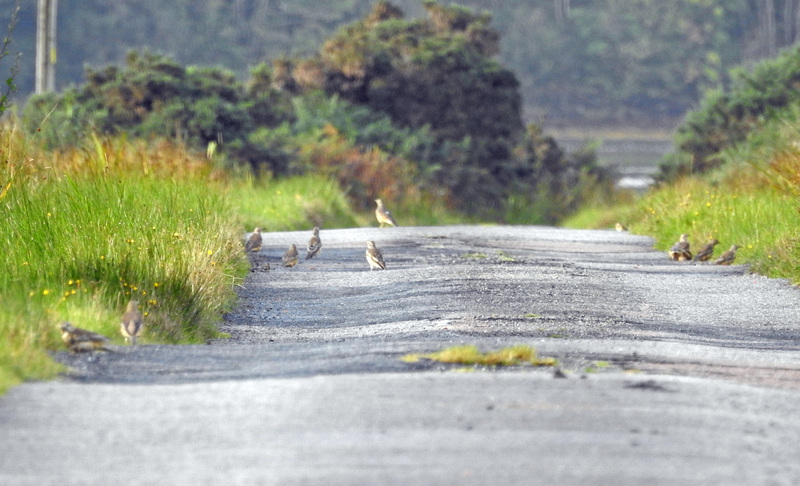 MID-ARGYLL: A flock of 57 Mistle Thrush on the road to Crinan Ferry this morning., also 80 Goldfinch there. 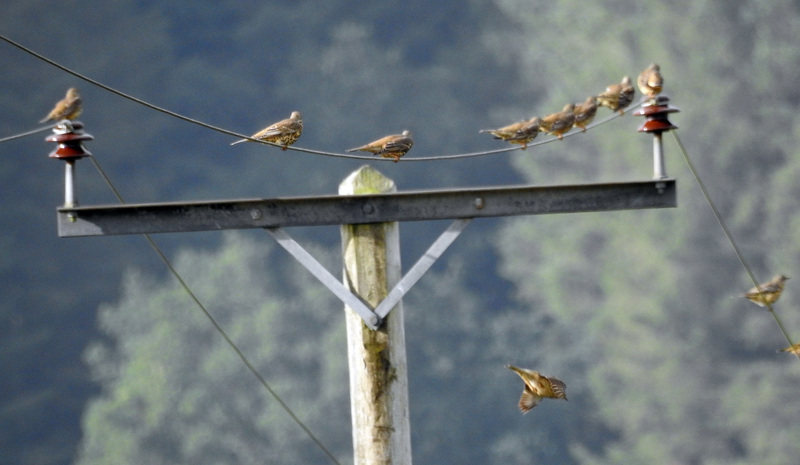 Now 41 Wigeon at the Add Estuary. At Loch Gilp – 1 Greenshank, 5 Bar-tailed Godwit and 39 Wigeon (Jim Dickson). KINTYRE: 3 Greenshank at Kennacraig on 8th Sep (Jim Dickson). 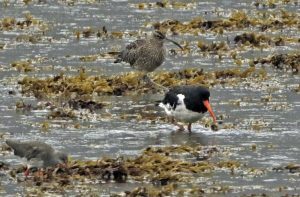 COWAL: A single Whimbrel at the head of the Holy Loch and a charm of 100+ Goldfinch feeding on the grass on the foreshore also 12 Wigeon (Alistair McGregor). 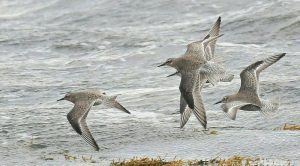 KINTYRE: At MSBO today – 5 Knot and a Great Skua >S (Eddie Maguire). 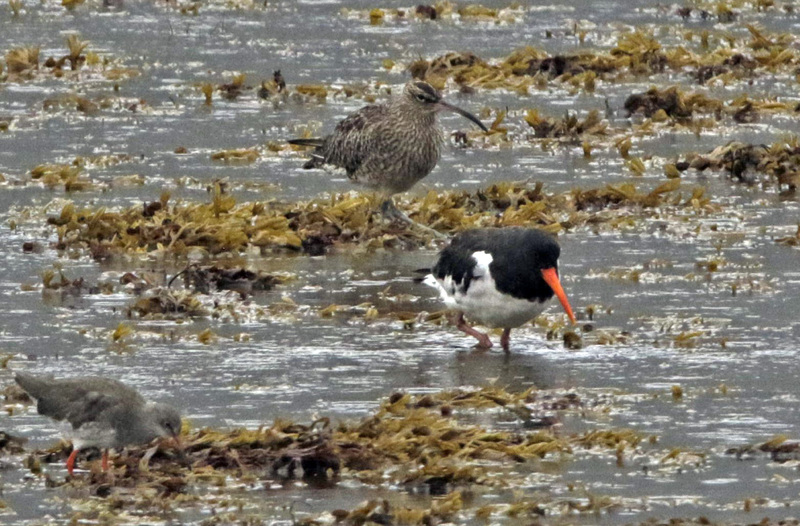 WHIMBREL with Redshank & Oystercatcher – Holy Loch 11th Sep (Alistair McGregor). RED KNOT – MSBO, KINTYRE 11th Sep (Eddie Maguire). 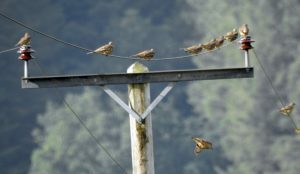 MISTLE THRUSH – Crinan Ferry road, Mid-Argyll 11th Sep (Jim Dickson).